One of the most important aspects of our job as wedding photographers is to capture natural moments and emotion as they happen during the day. Reactions to funny speeches, the tears coming down dad's face as he sees his daughter for the last time as a single woman, all of these little snippets of the day we aim to capture and they are some of the best moments for photojournalism at Toronto weddings. 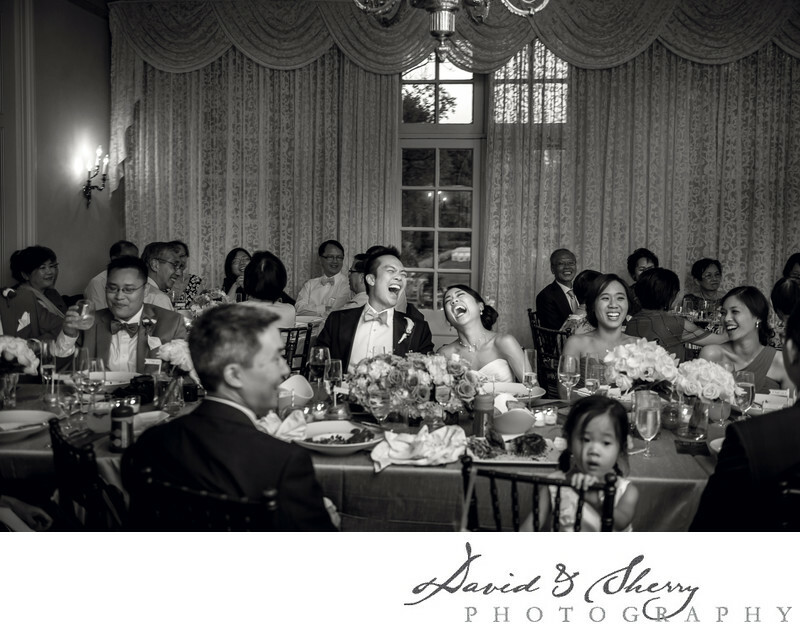 This moment was captured as the reaction to a speech and was such a great moment as the entire group of guests were roaring in laughter. I often would love to hear what it was that was so funny when looking at a picture like this, but all that remains is this beautiful moment on film. We must be ready always to capture the decisive moment as they are very short. To be great at this requires practice, patience and often times big arm muscles. We sometimes find ourselves holding our cameras to our eyes for many minutes consecutively waiting for a moment to happen. We are ready always with our cameras to capture that little tear, the burst of laughter or the warm embrace that happens between family and friends and those who are closest. Sometimes it's mom, others it's dad, the best man, the groomsmen, an uncle the maid of honour, the bride, the grandparents or anyone else of influence who is there to give a speech or who has an emotional connection to the bride and groom. 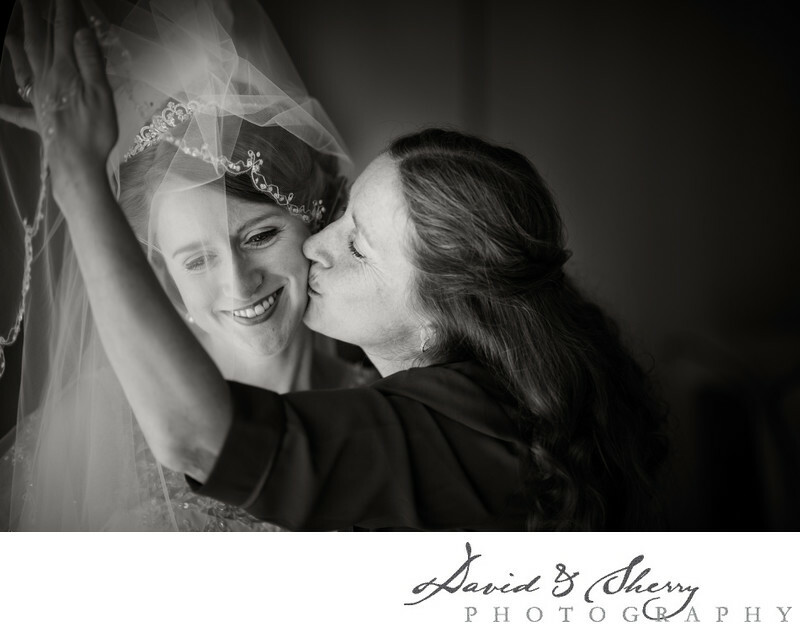 David & Sherry are photojournalistic wedding photographers in Toronto, Vancouver and across Canada.